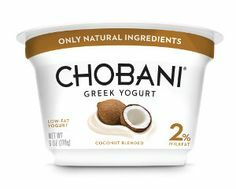 The U.S. Court of Appeals for the Ninth Circuit last week overruled a lower court’s perfectly sound dismissal with prejudice of a food labeling class action against Chobani yogurt. The FDA has been under pressure from the courts and defense counsel for many years to offer relevant guidance and definitions of “natural” and “all natural.” But having been largely captured by the plaintiffs’ bar, which prefers the absence of bright-line definitions that could slow or halt their litigation gravy train, a compliant FDA as recently as January 2014 “respectfully declined” to do so. Incidentally, the public can weigh in on the FDA’s proposed definitions, and ATRA urges its readers to do so at Regulations.Gov.